Chop the dates finely and place into a bowl and steep in the boiling water. Place to one side whilst you work on the rest of the mixture. In a mixing bowl, add all the dry pudding ingredients together and stir. Melt the butter and add along with the eggs and treacle. Mix by hand, or use a low setting on a mixer. When the mix looks slightly curdled, add the double cream and fold by hand. It should resemble batter mix at this stage, remember it isn’t a cake mix and doesn’t need lots of air added. Mash the now softened dates into the water and add to the other mixture. Again fold in by hand, it may look curdled, but it’s fine. Grease your baking tins and pour the mixture in. Bake for 25-30 mins, until the pudding is cooked. Leave to cool slightly. In a thick bottomed pan, add the sugar and butter with around 3/4 of the cream, then slowly bring to the boil, stirring constantly. When the sugar has dissolved, add the treacle and bring to the boil, letting it bubble for a minute. Remove from the heat and beat in the remaining cream. Your mix will be a gorgeous toffee colour, and look lovely and glossy. Using a knife or spatula, slide the cakes out of the tins. Don’t worry if it doesn’t look perfect, the toffee sauce is going on top and will hide any imperfections! Pour a little toffee sauce into your tins, replace your pudding and drizzle more sauce on top. Reserve around a third of the sauce for serving. 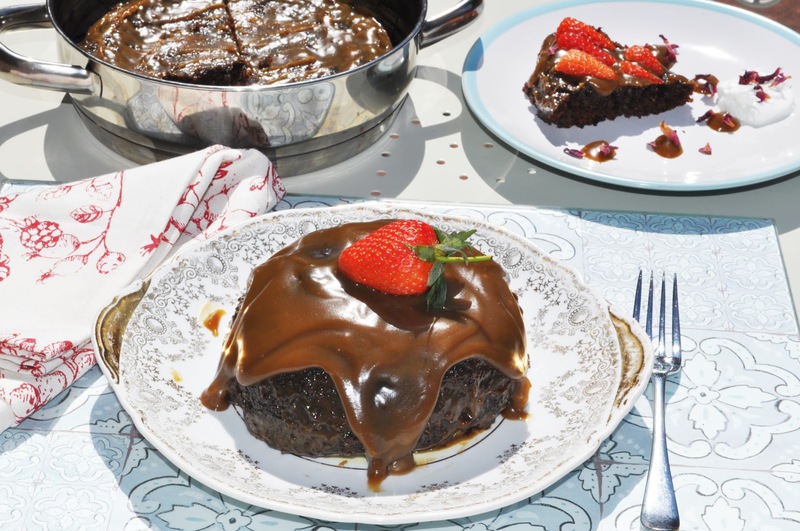 Top Tip: For an even stickier and gooier pudding leave the pudding overnight to soak up the toffee sauce. Scottish Mum is packed with more great family recipes.